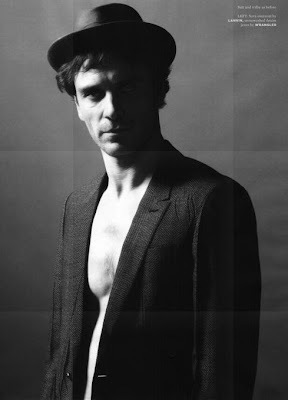 Fassinating Fassbender - A Michael Fassbender Fan Blog: Michael Fassbender in Wonderland! Michael is featured in Issue #22 of Wonderland magazine that has Carey Mulligan on the cover. 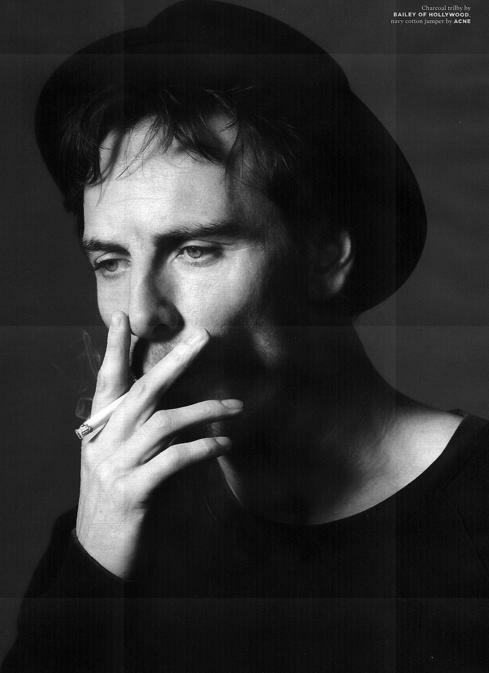 Photos are by Paul Maffi with Michael in various beautiful poses wearing a hat and/or revealing his firm torso. He photographs beautiful in b&w/sepia art. I can't wait to get my hands on this magazine! Although this issue is not yet posted on the Wonderland website, it should be shortly and you may be able to find high-res photos there. Meanwhile, I hope these scans from Brilliantine Mortality at tumblr.com will suffice. Totally! If anyone had any doubts about his abs in '300', they can shut up now. LOL!